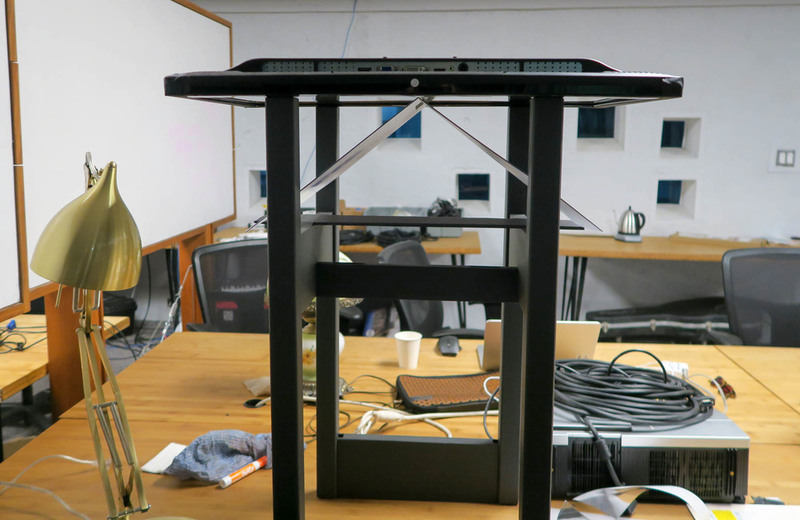 Over the past several months I have been working on a project as part of an art and technology incubator. Folks, let me finally introduce you to anthesis. 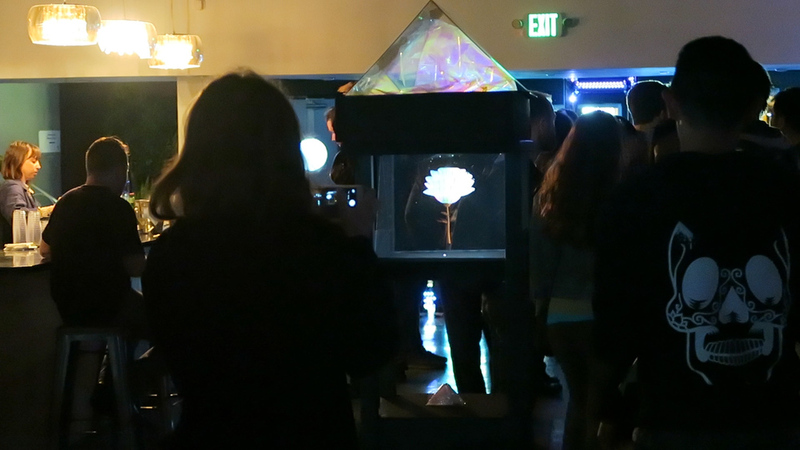 Anthesis is a digital plant avatar the can be displayed as a holographic illusion. The appearance of the flower avatar is determined by a series of questions posed to the viewer. The outcome of the questions is one the diagnosis as one of four archetypes. The archetypes all have different blooms who's appearance symbolizes aspects of the individual archetypes. It is intended to provide an opportunity for self reflection as the viewer sees themselves represented symbolically in the blooming flower. As a physical component to the experience, I am creating an Instructable project for a hologram viewer. As part of a proof of concept I created an installation for the incubator showcase using a monitor. 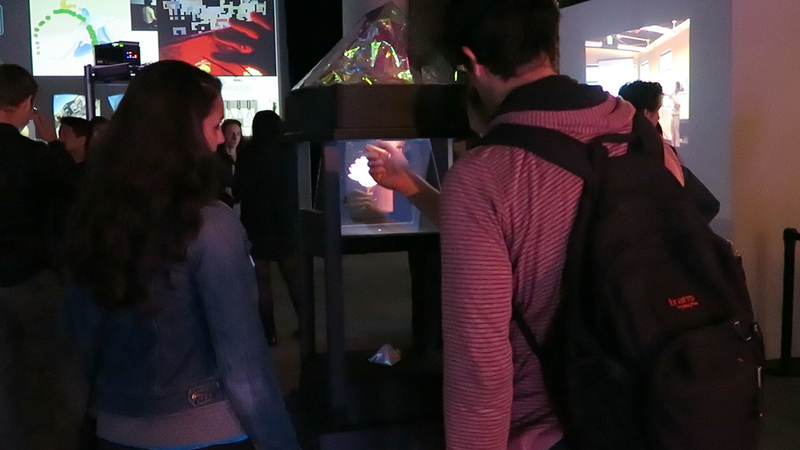 Most screens work for use in a hologram viewer. You can view the slides I presented on demo day as a Google slides presentation. I developed a visual language to use alongside the archetypes the viewer will be able to embody in future versions of anthesis. The flower used in the hologram demo is a visualization of the supplicant archetype. The begging bowl inspired concentric petal growth symbolizes a state of mental surrender to the simplicity and emptiness of the present moment. The metaphor is furthered by the representation of an organic object in a digital format. General feedback for the concept was positive and a few people showed me examples of previous work that was similar. Most notably: someone (I wish I remembered his name!) suggested I have the flower come out of an object like a vase and later showed me a video of a pepper's ghost installation he had seen where the hologram appeared to be sitting on a rock. It also utilized two panes instead coming to a point instead of the four sided pyramid I had originally prototyped. The finally installation ended up being this two-sided style which ended up being a better design. The flower was larger because the reflection could make use of the monitor's width. Talking about my project at the Incubator "demo" night and asking for feedback from the community. Video credit: Tatyana Griffin. The first incarnation of this work in progress is as a hologram utilizing the Pepper’s Ghostillusion. The flower geometry is created, textured and animated in Maya. The firefly particle effect was added in After Effects. Import the model into a three.js scene with animation and add interactivity. Create an environment for the experience. Explore the model and environment possibilities in webVR. The source code will be made available on GitHub.